Listen to Djembe by glowing light, sitting outside with a cool beer, and just metres from the unbelievably clear waters. 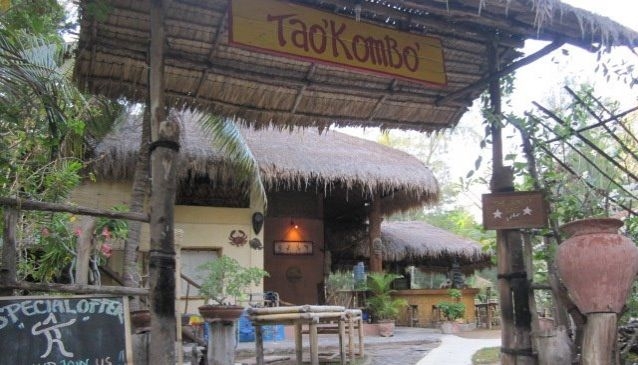 Jungle bar is known for its great live music- and their 'in-house' band can be found on MySpace under the name 'taokombo' if you feel like trying them out. The bar is joined up with a grill kitchen, serving its popular 'crispy chicken', and travel lodge which is popular with families, backpackers, and couples alike. They run small trips and the staff are really helpful with whatever can be done to make your visit special. The friendly atmosphere and kind staff make for a really enjoyable visit. There are currently some renovations going on so get in touch with them first if you plan on going before June 2013. This is the kind of place that memories are made of- the scenery, the music, the atmosphere and the people. You might never want to leave!